The three original members of Brownstone were Monica "Mimi" Doby, Charmayne Maxena "Maxee" Maxwell and Nichole "Nicci" Gilbert. Founded in Los Angeles, the singers met each other after attending various auditions around the city. They formed the group and were signed to Michael Jackson's MJJ Music record label less than a year later. The group soon recorded its debut album From the Bottom Up, which spawned the hit single "If You Love Me". In 1995, the group earned a Grammy Award nomination and a Billboard Music Award. After extensive touring around the globe, Doby left the group for health reasons; in an interview with BET Video Soul host Donnie Simpson, the problem was cited as bronchitis. The cause of her split from the group was later said (in radio interviews) to be internal strife with the other two members. She was replaced by Kina Cosper of Detroit; other members over the years includes Kymberli Wright of Detroit, Racquel Roberts of Los Angeles and current member Teisha Brown of Detroit. After a difficult transition period, Brownstone released the song "5 Miles to Empty" from their sophomore album Still Climbing. In 1998, Brownstone was featured on the soundtrack for the film The Players Club with the song "Don't Play Me Wrong". Charmayne Maxena "Maxee" Maxwell died on February 27, 2015 at age 46 following what has been reported publicly as an accidental fall. 1995 Billboard Music Award for Top Hot R&B Singles Airplay for "If You Love Me"
1995 Billboard Music Award nomination for Top Hot R&B Singles & Tracks for "If You Love Me"
1995 Lady of Soul Music Award nomination for Best R&B/Soul Song of the Year for "If You Love Me"
^ "Brownstone | Biography & History | AllMusic". AllMusic. Retrieved 2016-11-14. ^ "Brownstone Singer Dies After Bloody Freak Accident". Daily Mail. March 1, 2015. ^ "Sängerin der 90er Jahre-Band Brownstone stirbt nach mysteriösem Sturz". www.t-online.de (in German). Mar 2, 2015. Retrieved March 2, 2015. ^ Bobb, Maurice (Mar 1, 2015). "Charmayne Maxwell, Member Of '90s Group Brownstone, Died In Mysterious Fall". MTV News. Retrieved March 2, 2015. ^ a b c d e f "US Charts > Brownstone". Billboard. Retrieved 2012-10-13. Top 50 peaks: "AUS Charts > Brownstone". Australian Recording Industry Association. Retrieved 2012-10-13. 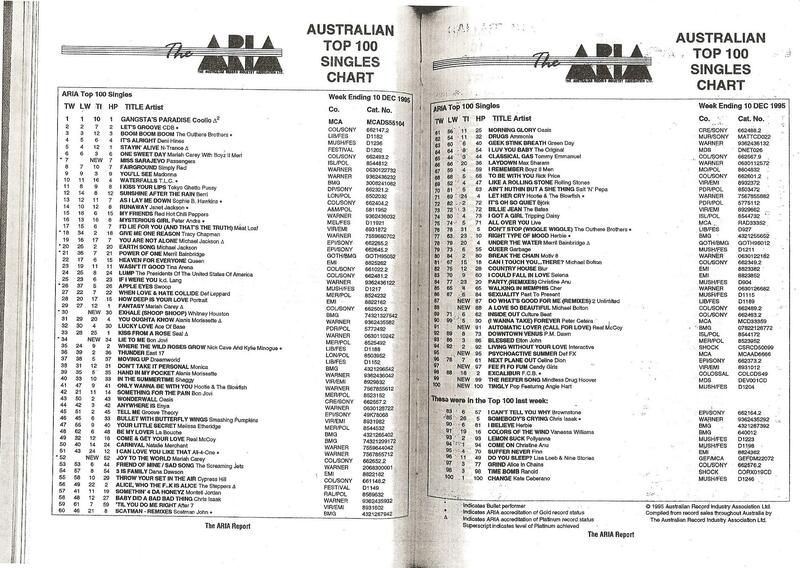 "I Can't Tell You Why": "The ARIA Australian Top 100 Singles Chart – Week Ending 10 Dec 1995". Imgur.com (original document published by ARIA). Retrieved 2017-07-19. N.B. The HP column displays the highest peak reached. ^ a b "CAN Charts > Brownstone". RPM. Retrieved 2012-10-13. ^ "GER Charts > Brownstone". Media Control Charts. Retrieved 2012-10-13. ^ a b "NLD Charts > Brownstone". MegaCharts. Retrieved 2012-10-13. ^ a b "NZ Charts > Brownstone". Recording Industry Association of New Zealand. Retrieved 2012-10-13. ^ a b "Official Charts > Brownstone". Official Charts Company. Retrieved 2017-07-19. ^ "US Certifications > Brownstone". Recording Industry Association of America. Retrieved 2012-10-13. ^ "UK Certified Awards Search > Brownstone". British Phonographic Industry. Retrieved 2012-10-13. ^ "FRA Charts > Brownstone". Syndicat National de l'Édition Phonographique. Retrieved 2012-10-13. ^ "IRE Charts Search > Brownstone". Irish Recorded Music Association. Archived from the original on 2009-06-03. Retrieved 2016-11-13. ^ Billboard – Google Boeken. Books.google.com. Retrieved on 2012-05-04.